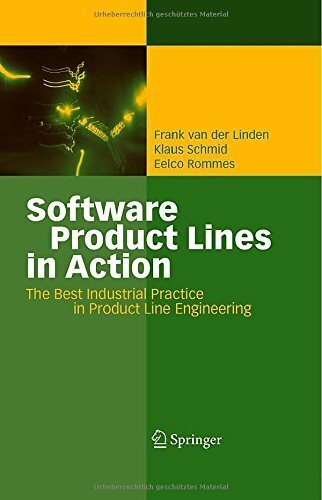 One nice excerpt is "Bringing comprehensive change to a software development organization isn't easy, and false starts are expensive." 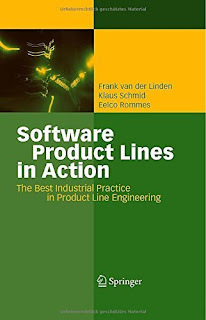 The book has three divisions: "Aspects of Software product line engineering", "Experience Reports" and "Conclusions"
Part one covers the theoretical statements and is quite readable. Part three ("Conclusions") is much to short, to learn something.